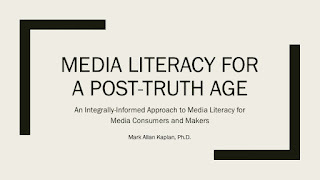 An Integral Cinema Project presentation to the Carey Institute for Global Good outlining an integrally-informed approach to media literacy designed to help people discern what is the truth in this age of fake news, reality bubbles and invisible propaganda networks. 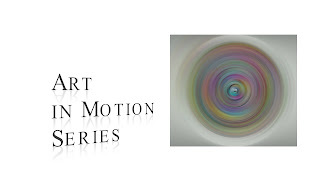 A collection of moving image meditations that attempt to use advanced audiovisual and cinematic entrainment technologies along with animated abstract art to explore the human perceptual field, potentially inducing shifts in our awareness of our own perceptual field and bringing the normally unconscious perceptual construct-forming system of the human mind to conscious awareness. 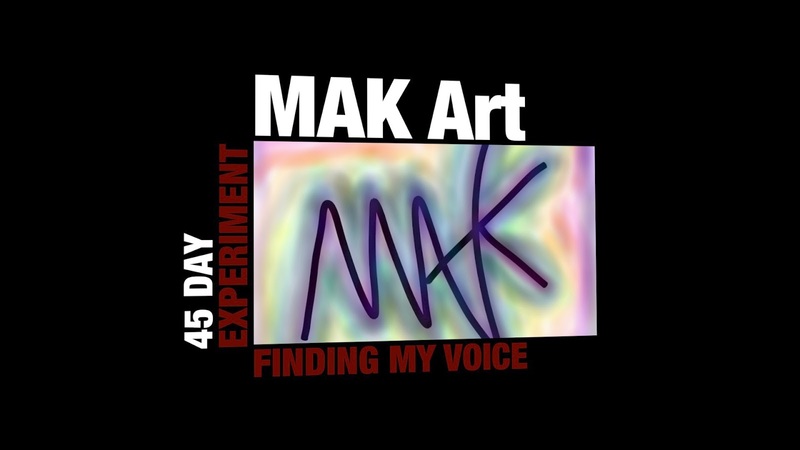 My 45 day lived-inquiry experiment of doing a video journal recording and creating a work of art (still and/or moving image) every day, along with video journal notes on my integral cinema research and soul searching process. The 45 day time-frame is purported to be the time it takes for the human brain to lay down new neural pathways to make a behavior feel natural and easy. Given my history as stutterer, I chose video journaling to see if I could transcend my awkward feelings around speaking in front of the camera. 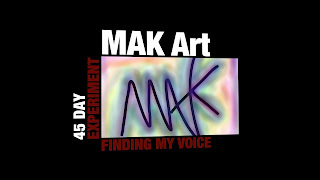 I chose daily art creation to see if I could transcend the constructs that prevent me from fully owning my creative soul. Continuing to write my book on integral cinema (stay tuned...). At the same time, I have continued my research into the co-evolution of the moving image, consciousness, culture and society, and testing cinematic works for signs of the integral structure of consciousness. 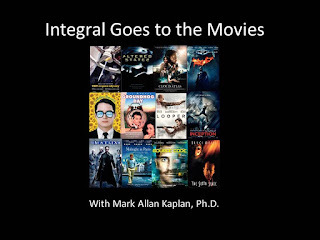 For those interested I have posted the 2017 new integral movie and television discoveries on the IMDb Integral Movie and TV List. On the publication front, I wrote a short piece on What Sam Sheppard Taught me about Storytelling and Life to mark his passing. On the education front, I am redesigning the meta-movieology courses on using the moving image for the evolution of consciousness, and developing them into asynchronous online courses for general release. 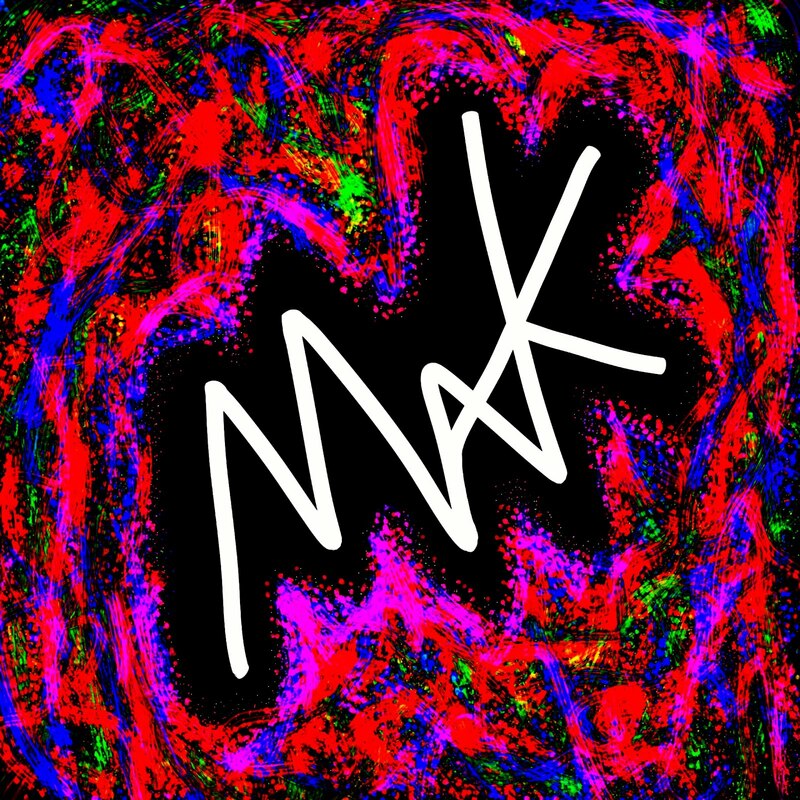 On the enactment front, I am currently in production on an integrally-informed avant-garde video meditation on the wind, and am in development on a low-budget feature film and a television series, videogame and VR/AR/MR transmedia project designed to storify and gamify the individual and collective evolutionary spiral. These projects are all enactment experiments designed to utilize and test the new integral-evolutionary inception and design approaches I am been researching and developing. And amidst all this I was honored that the Integral Cinema Project was named one of the TransTech 200 Innovators for advancing the work of using technologies for individual and collective transformation. I believe every problem we have is a problem of consciousness, and that media is one of the most powerful tools humanity has created to affect consciousness on a deep and expansive level. As we have seen more clearly this past year, media has the capacity to shape the hearts and minds of millions of people, for good and for bad. We live in times of ever-present and hyperreal media, fake news and vast propaganda networks. We must find more ways to mitigate and transcend the use of media to manipulate and limit our capacities, and to use media for higher and nobler purposes. I am committed to continuing to work towards these goals and deeply appreciate all the support I have received.